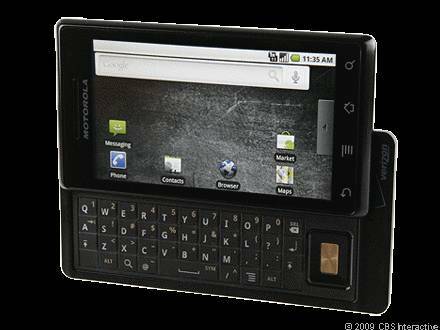 Previously we mentioned about BOM (Bill of Materials) cost analysis of recently released Nexus One by iSuppli, now the company has further disclosed similar information for another famous smartphone, Motorola’s Droid, which dubbed to be one of the iPhone killers. Apparently, the Android OS smartphone is the most expensive among all, costing around $187.75 BOM (including $8.64 manufacturing cost) when compared to both Nexus One and 3GS iPhone. The higher cost is attributed mostly by few major components, and among all, the external 16GB microSD card that costs $35 is the highest, making the whole BOM cost higher as compared to iPhone 3GS (with internal 16GB NAND) as well as Nexus One (with relatively smaller 4GB external MicroSD card). Besides, its 3.7-inch TFT LCD Display module alone costs around $17.50 and when coupled with its capacitive touch screen, it tops up an additional $17.5 that makes the whole display module more expensive than usual. That is not all, its uncommon heat actuated 5-megapixel CMOS sensor priced at $14.25 also part of contributors that make the whole BOM cost un-optimized even when comparing to much better grade’s components being used in Nexus One. Others include the OMAP processor from Texas Instrument at $12.90, baseband processor from Qualcomm at $14.04 and many more that are required to build up the whole system BOM. As usual, the tear down and BOM cost analysis doesn’t include other expenses such as marketing, royalties and software but purely focus on components’ cost.